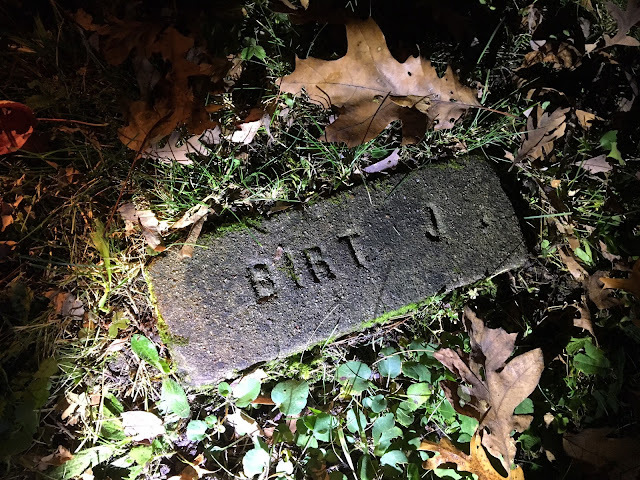 Back around the Halloween season, my wife and I along with another couple, visited a local cemetery with a really frightening historical background. A fairly dark history as a matter of fact, that has its roots in white supremacy, anti-immigration laws and ultimately, eugenics. Like many states in early 20th century, Michigan was on-board with the business and political elites of their day in pushing forced sterilization and euthanasia programs. With an influx of immigrants from eastern and southern Europe, fear and racism spread and with it, the use of government and science to administer a twisted dose of medicine. 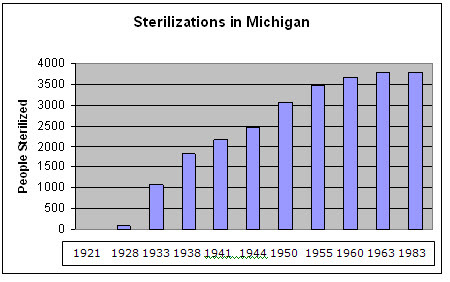 Michigan was the first state to introduce a compulsory sterilization bill in 1897. Although it failed initially, it was only a matter of time for the inhumane and human rights violating practice to be instituted. There were at least 3,786 officially documented cases of sterilizations in Michigan. Of the 3786 cases, 74% of sterilizations were carried out on females and 26% on males.Sterilizations in Michigan occurred from 1914 through 1963 (Paul, p. 382)*. The vast majority of them occurred after the Michigan passed its last sterilization law in 1929. The 1923 law was compulsory and voluntary and pertained to "idiots, imbeciles, and feebleminded, but the not the insane" (Paul, p. 372), and it was extramural in that it included not only patients in state institutions but also those at large (Paul, p. 372). In 1929, the act was expanded to include, in addition to the previously included groups, the "insane and epileptic persons, ..., moral degenerates, and sexual perverts likely to become a menace to society or wards of the state" (see Hodges, "Dealing with Degeneracy," p. 141; Paul, p. 375). Of course a program like that could not have been facilitated without lots of money and widespread support from intellectuals, politicians, scientists and businessmen. After all, who else among society could accurately label its citizenry as "fit" or "unfit" for breeding? It sounds like Nazi rhetoric precisely because the German nationalists borrowed the same cutting-edge, American theories just a few decades later. All the horrible ideas about racial superiority, genetic fitness and ethnic hierarchies we immediately associate with Nazi Fascism, fall right in line with the American antecedent. Mad Nazi scientist, Josef Mengele himself worked under grants from the American Rockefeller Foundation. Scientific progress is sometimes accompanied by very unsavory byproducts and experiments that break the boundaries of morality. The 20th century in particular produced ungodly horrific initiatives by way of new sciences, genetics research and callus ethnic stereotypes. As in most cases, it's the politically connected elite class that provides the fuel behind the fire. 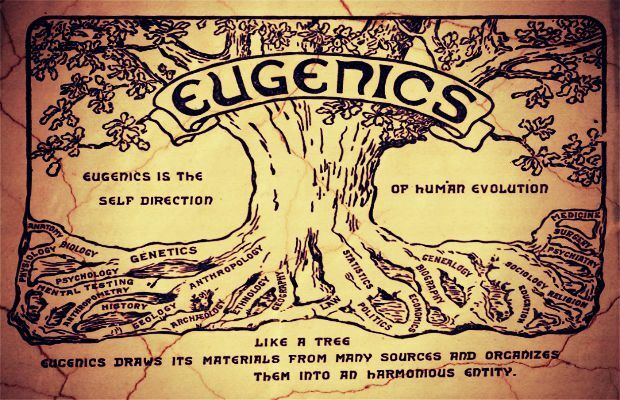 "Eugenics would have been so much bizarre parlor talk had it not been for extensive financing by corporate philanthropies, specifically the Carnegie Institution, the Rockefeller Foundation and the Harriman railroad fortune. They were all in league with some of America's most respected scientists from such prestigious universities as Stanford, Yale, Harvard and Princeton. These academicians espoused race theory and race science, and then faked and twisted data to serve eugenics' racist aims." 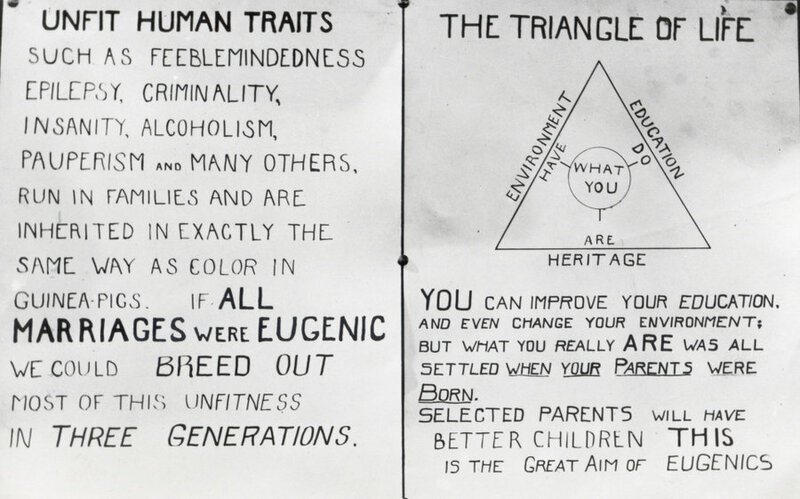 It's widely known that the inventor of good old-fashioned American Corn Flakes, Dr. John Harvey Kellogg, was at the forefront of racial eugenics advocacy. Can you imagine an any more transparently named think-tank than his Race Betterment Foundation, founded in Battle Creek, Michigan in 1911? The purpose of the foundation was to socially engineer the people of Michigan to accept the scientific benefits of population control and bloodline purification. Think about that sitting over your next breakfast bowl of cereal. Awful ideas like eugenics were sold to the public through trusted public officials that can made the case standing on stacks of impressive titles and stamps of intellectual approval. Take Victor C. Vaughn into account. As the Dean of the University of Michigan's Medical School, Vaughn was easily able to secure blind faith and support for his endorsements for forced sterilization. After all, He was a man of academia, a Dean of medicine for heaven's sakes. The business and education backgrounds that Kellogg and Vaughn brought to bear serving on the state board of health in Michigan, surely helped secure approval from legislators in passing a compulsory sterilization bill in 1913. Vaughn would later go on to the presidency of the American Medical Society at Ann Arbor, Michigan. Here we had wealthy elites in influential seats of power with the ears of government officials, deciding the medical fates of society. Decisions based on population control, white supremacist ideology and good intentions. As the doctrine grew, it would be more than just race that made individuals susceptible to involuntary imprisonment and human experimentation. A whole host of disabilities and mental health conditions were logged among a laundry list of unwanted characteristics that according to leading societal lights like Alexander Graham Bell and Margaret Sanger should be eradicated from the population. There seems to be an odd mix of prejudicial and humanitarian motives among those involved but in either case, injustice was the result. In summation, the leaders of American science, business, technology, education and politics were heavily intrigued by the notion that a superior species could be developed through proper human breeding. Setting aside the racial motives at work, many others genuinely believed that through scientific advancement, humans could be relieved of the burdens of birth ailments. Why be born deaf? Why be born crippled? Why be born gay? Why be born alcoholic? Why be born mentally ill? After all, what kind of life would such poor, unfortunates have to look forward to anyhow? It was up to the kindly upper-classes, wise in their ways, to prevent such tragedies of birth. Wasn't it? That backdrop leads us to the Oakdale Regional Center for Developmental Disabilities in Lapeer Michigan. Back when metal illness was defined as "feeble-mindedness," undesirables were sent off to state asylums were they were diagnosed and treated with the best the field could muster at the time. Shock treatment, isolation, you know – highly advanced and scientific procedures. It's not to say every doctor or nurse was evil or meant to hurt. It appears in retrospect that they just didn't know any better and perhaps thought they were doing right by these voiceless patients. Opened in 1895, closed in 1992, Oakdale was the largest state home for feeble-minded treatment, peaking at 4,600 patients. It should also be noted that simply being a Native American, African-American, or having a criminal record was reason enough to be diagnosed as "unfit" back in those days. 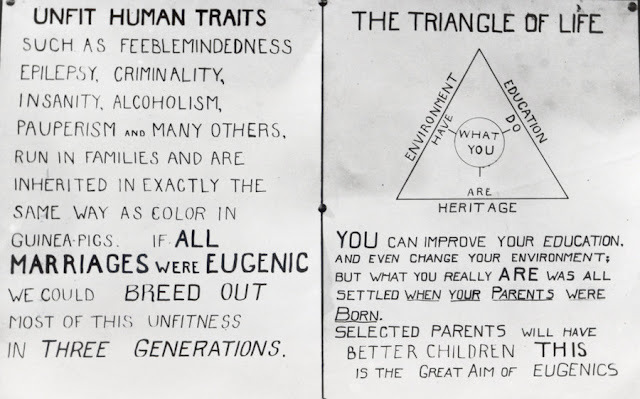 To add even more sadness to the story, the growth of the eugenics craze coincided with the Great Depression and as a result many families simply turned their children over to institutions like Oakdale because they had no means of providing for them. The explosion of patients coming in made Oakdale Lapeer's largest employer with upwards of 1,060 staff members. If one looks into Oakdale it wouldn't be hard to turn up glowing remembrances of the hospital that provided jobs for an entire community in addition to advancing the treatment of the impaired. While it's a fact that Oakdale greased the wheels of Lapeer's local economy for decades, it's also a whitewash of history to cover-up the scandal of forced sterilizations. This conveniently forgotten history would have stayed buried if not for the exposé made public in a 1996 lawsuit by former Oakdale patient, Fred Aslin. 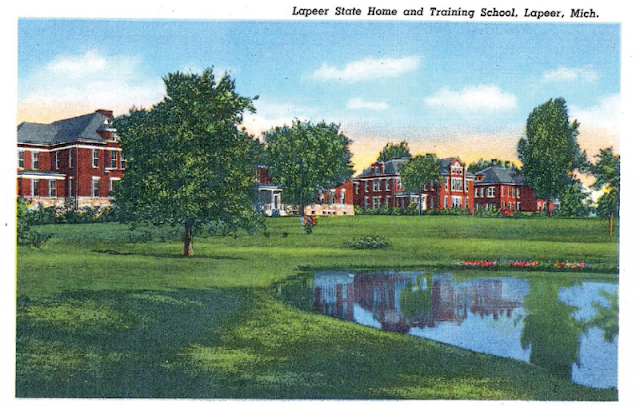 Investigation by a relative of Fred Aslin, a former resident of Lapeer State Home, revealed that he and 2,336 other people were sterilized at the Lapeer State Home as a result of state policy. In the 12 years of Aslin’s stay at Lapeer, half a dozen medical doctors repeatedly passed on the diagnosis made by Doctors James F. Darby and William Charlton Edminson from St. Ignace that classified Aslin as a “feeble-minded moron.” In 1944, at the age of 18, Fred Aslin had been sterilized against his will, without having the procedure explained to him. Aslin’s story made national news when he filed a lawsuit in 2000. But the case was dismissed because the relevant statute of limitations had expired. Due to government immunity, no one was held accountable for the crimes. However, Aslin did receive an official apology letter from the Michigan Department of Community Health. You see? The government does care. There are other creepy aspects of Oakdale history aside from the dark eugenics that went down. Which finally brings me back to the cemetery I visited two days prior to Halloween. If you go to the property that once was the sprawling medical estate, the cemetery represents the very little evidence of what once was. 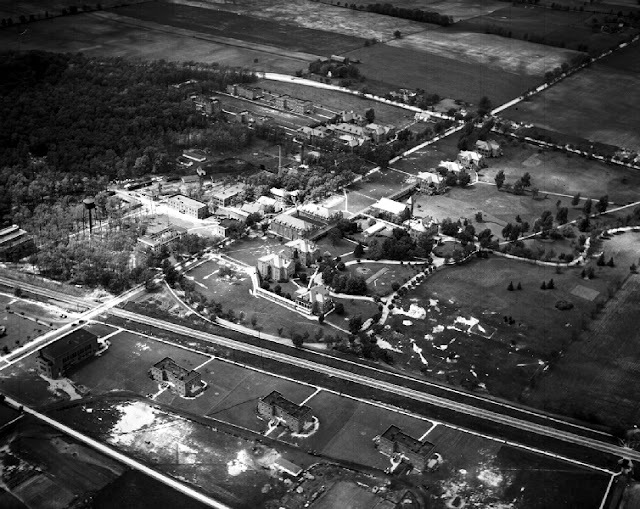 In 1992, 400 acres that was once Oakdale was sold to the City of Lapeer for $1, and between 1992 and 1996, most of the buildings were demolished, and what was once a grand institution that was home to many and a living for many others became a memory. 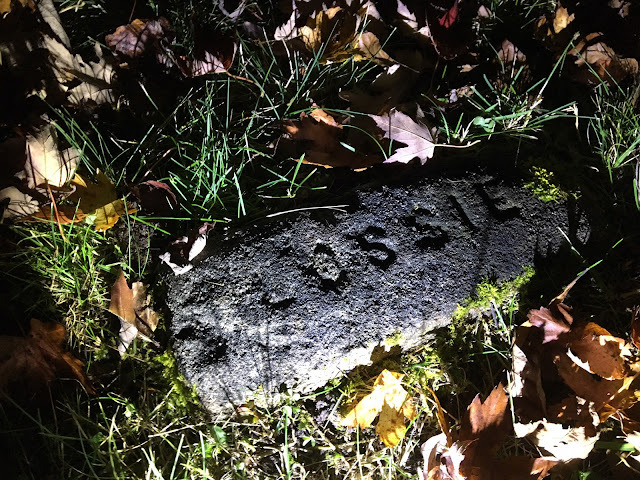 With a hospital facility that housed so many people over such a long period, it's not a surprise that land was set aside to dispose of the remains of the deceased. In many cases there was no family available to take possession of their dead relative. I was unable to turn up a whole lot of sources dealing with the cemetery itself in my research. I did discover a smallpox outbreak that was the cause of death behind many of the graves on the grounds. 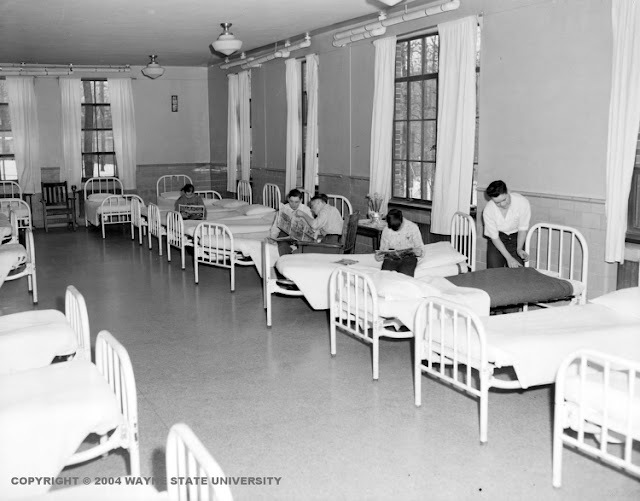 In 1910, a smallpox epidemic broke out at the asylum, and a company of the Flint National Guard camped out on the grounds that fall and winter to keep the disease contained to the asylum grounds. Many victims of the smallpox epidemic were buried in the now-forlorn cemetery at the southern edge of the grounds. Obviously, people die and get buried. The creepy factor comes not just from the forced human experimentations that took place in the vicinity of the graves, or even that those that died were the victims but also the cold reality of the burials. For individuals whose families didn't provide funds for a decently crafted headstone, in its place are crude cement blocks, shallowly laid into the dirt. The creepiest and coldest aspect still is the markings left for the dead. In most cases all that the stone was marked with were first names and last initials. Other times just a single name or a number. Most unsettling of all, "SON." The sight of numbered graves in an empty field gives one quite a morbid shiver under the light of the moon. The four of us had to work under the cloak of darkness in order to effectively trespass with the least chance of being sighted. Parking at a nearby plant butting up to a wooded area, we crossed through high grass fields that led to a two-track road. Crossing the two-track we followed another walking path into a clearing that opened up into a roughly 200' x 125' ft. cemetery. It was very dark and empty looking. There were a few noticeable headstones but what was more noticeable was a vaster vacantness. 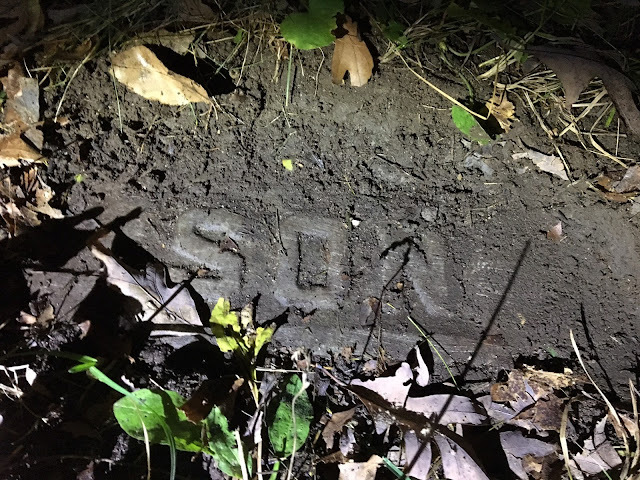 With our flashlights we began to uncover the flat blocked markers, most of them grown over with grass. Initially it seemed as if there were very few graves to be found at all. Maybe 10 or 12. But as we kept crossing back and forth, more and more seemed to pop up under our feet. Without counting, my guess was that we located somewhere between 20-25. The odd thing about that was most of those graves were clustered together in the lower right hand portion of the square inclosure. 3/4 of the clearing had no grave markers at all. It felt very strange, like either headstones had been removed or there were a lot of completely unmarked bodies underneath the ground. One of my companions noted his suspicion of mass graves located on-site. There was some evidence of the flat, block gravestones having been pulled up out of the ground. Aside from that it was curious how much area appeared unused. Someone clearly tends to the landscaping and we observed an angel ornament placed next to a more traditional tombstone. That was really weird. 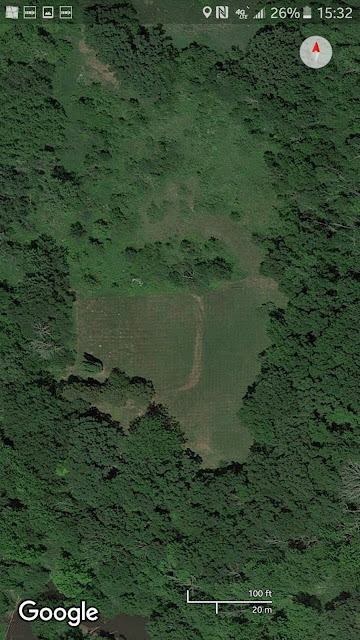 Just the thought of someone returning to this desolate plot of land, now so far removed from context. The area is rumored to be haunted or attractive to paranormal activity. I certainly was open to it and tried to be very aware of any shifts in energy within me but as far as I could observe there is nothing paranormal to report from that evening. More than anything, the total lack of any energy or feeling was what was unusual. There was only a feeling of emptiness and silence that was foreboding. After spending about an hour surveying the grounds to our satisfaction, we headed back out. The most disturbing thing of the whole night was a nearby truck that was pealing out up and down a road leading to the woods. I left feeling paranormally unlucky but accomplished for having made it in and out without any trouble. Even if we did see an entity out there in the darkness, nothing could be as frightening as the knowledge of the past horrors that took place there, now all but forgotten. *Paul, Julius. 1965. “‘Three Generations of Imbeciles Are Enough’: State Eugenic Sterilization Laws in American Thought and Practice.” Unpublished manuscript. Washington, D.C.: Walter Reed Army Institute of Research.